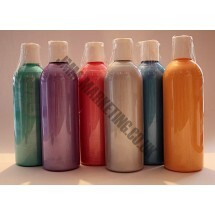 Scolart Pearlescent Fabric Paint 500ml	There are 7 products. 1 * Scolart Pearlescent Fab Paint 500ml - Blue. 1 * Scolart Pearlescent Fab Paint 500ml - Gold. 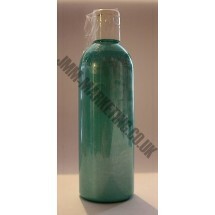 1 * Scolart Pearlescent Fab Paint 500ml - Green. 1 * Scolart Pearlescent Fab Paint 500ml - Mauve. 1 * Scolart Pearlescent Fab Paint 500ml - Red. 1 * Scolart Pearlescent Fab Paint 500ml - Silver. Scolart Pearlescent Fabric Paint 500ml Pack. 6 bottles of your choice. Please inform us of the colours required. Available in Gold, Silver, Mauve, Blue, Red and Green.